We’ve all seen the headlines in the general media about a house price boom in 2014, with a surge in house prices and property enquiries at record levels. So what can you expect when buying or selling an equestrian property? 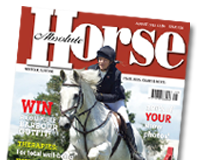 Two local experts give Absolute Horse Magazine readers an insight in to buying and selling equestrian properties.